With Father’s Day weekend just days away, it’s officially time to fire up the grill! This week we’re serving up some recipes featuring our Jalapeño Margarita mixer. But there’s a twist! 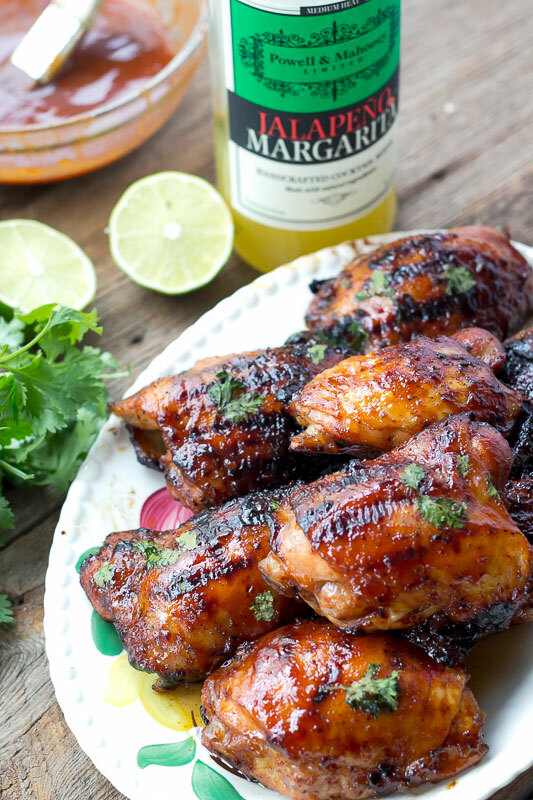 We’re not making cocktails (well… we are, but they’re just not the focus for the recipes), we are using this spicy margarita mix to make two tasty main dishes – Chicken Thighs with Jalapeño Margarita BBQ Sauce, and Grilled Pork Loin with a Jalapeño Margarita Marinade! Jalapeño Margarita is the perfect base for a marinade or sauce for meat, with the flavor combination of sour, sweet and a bit of spice! Just add a few other ingredients and you will have a great accompaniment for grilled meat. 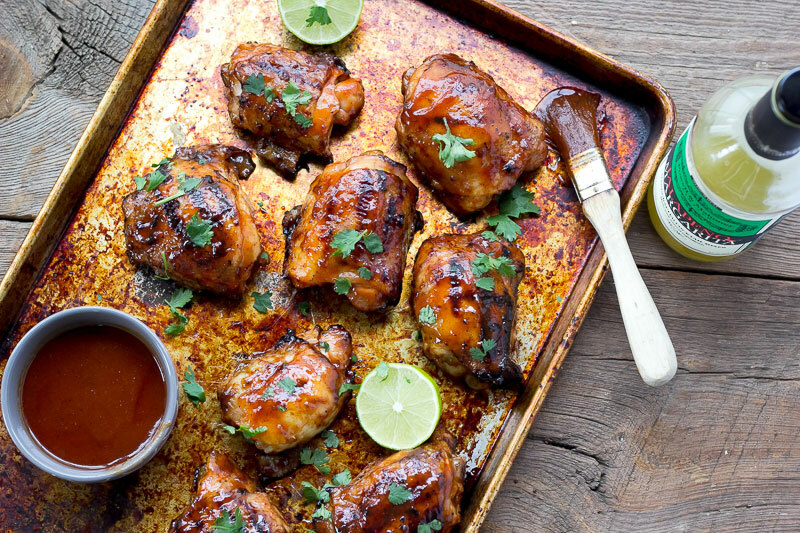 This sauce is the ticket to spicy, sweet grilled chicken goodness! First use a little bit of the uncooked sauce as a marinade. Then, while the chicken is soaking in the fridge, cook the sauce down until it’s thick enough to make a delectable coating for your meat. This sauce will make you the hero of the cookout. 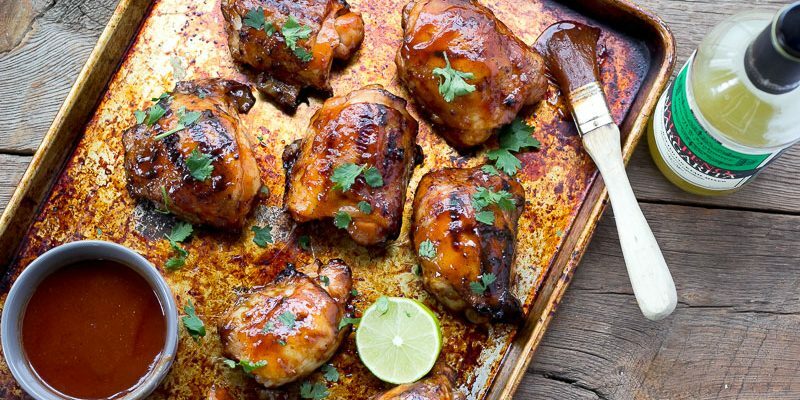 Serve these chicken thighs with a cool pasta salad, crunchy pickled veggies and toasty rolls to sop up the Jalapeño Margarita BBQ Sauce. In a small bowl, combine mixer, ketchup, brown sugar, chipotle peppers, salt, mustard, black pepper and Worcestershire sauce. Whisk until smooth. Place chicken into a re-sealable plastic bag. Pour ¾ cup of the sauce into the bag and mix well with thighs. Seat the bag and refrigerate for at least an hour. Heat remaining sauce in a small saucepan until bubbly. Lower heat and simmer for about 15 minutes or until sauce has thickened. Let sauce cool to room temp. Heat grill to medium high heat. Add chicken to grill and sear each side. 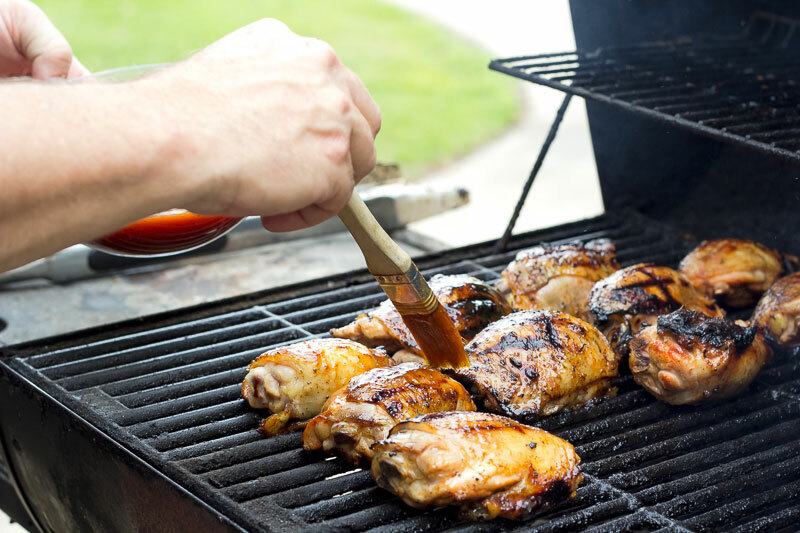 Move chicken to indirect heat and grill until chicken reaches an internal temperature of 180 degrees. Marinating your pork will yield some delicious results! 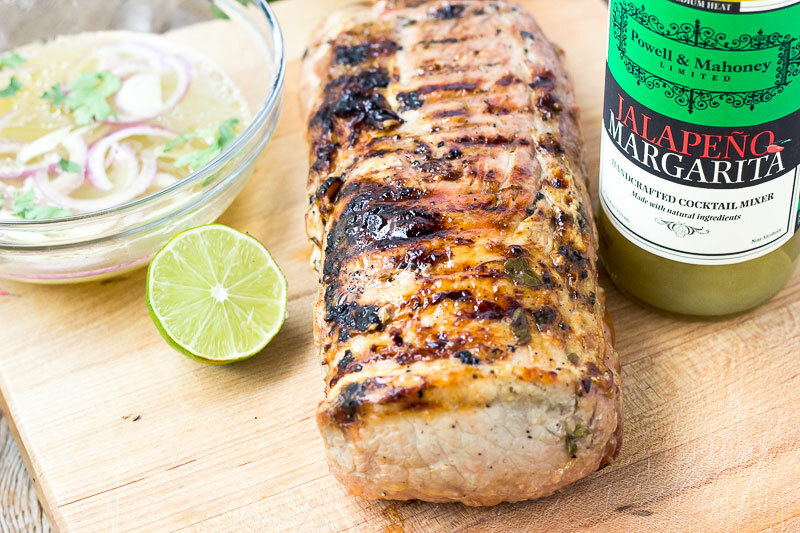 The sugar in the marinade helps to caramelize the surface of the pork and the jalapeño gives a great kick. Oil conducts heat on the surface to form a nice little crust. 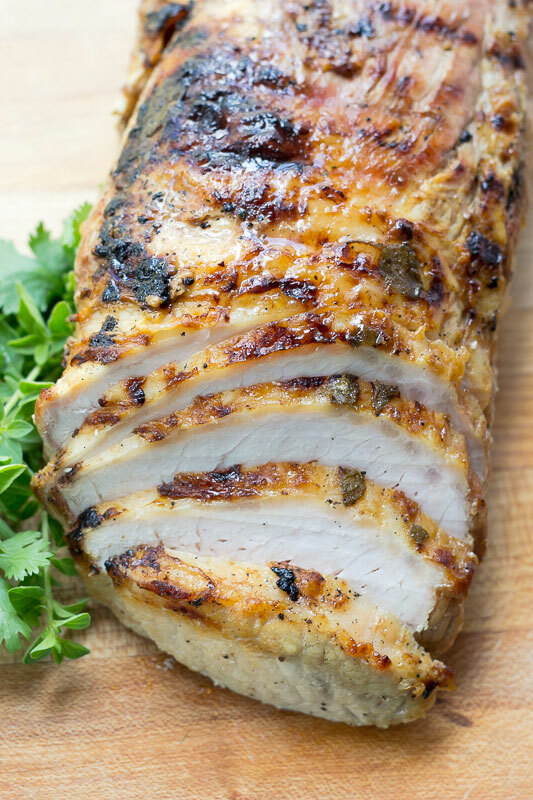 Serve this pork loin sliced with Summer-y (is that a word?) sides like corn on the cob and fresh coleslaw. Save leftovers for making Cuban sandwiches or pork sliders! In a small bowl, combine mixer, olive oil, cilantro, garlic, red onion and oregano. Place pork loin in a large, re-sealable plastic bag and pour the marinade over it. Seal bag and place in fridge for at least 4 hours. Turn bag a couple of times to evenly distribute the marinade. Remove pork from fridge about 30 minutes before cooking. Discard marinade and pat pork dry. Season with coarse salt and pepper. Sear all sides of pork loin over medium high coals (around 400 degrees). Move to indirect heat and cook for 30 minutes or until pork reaches an internal temperature of at least 160 degrees. Let meat rest for 10 minutes before slicing. Try turning one of mixers into your next sauce or marinade. Savor the goodness of the flavors in your food and then, pour yourself a cocktail to celebrate!